The dream of the suburb is an old one in America. For more than a century, city dwellers have sought to escape the crowding and pollution of industrial centers for the quiet streets and green spaces on their fringes. In the 1930s, that dream inspired the largest migration of Americans in the twentieth century and led to the creation of Greendale, Wisconsin, one of three planned communities initially begun to resettle the rural poor hit hard by the Great Depression. This idea, though, quickly developed into a plan to revitalize cities and stabilize farming communities around the nation. The result was three “greenbelt towns” built from scratch, expressly for working-class families and within easy commuting distance of urban employment. Greendale, completed in 1938, was consciously designed as a midwestern town in both its physical character and social organization, where ordinary citizens could live in a safe, attractive, economical community that was in harmony with the surrounding farmland. “Main Street Ready-Made” examines Greendale as an outgrowth of public policy, an experiment in social engineering, and an organic community that eventually evolved to embrace a huge shopping mall, condominiums, and expensive homes while still preserving much of the architecture and ambiance of the original village. A snapshot of 1930s idealism and ingenuity, “Main Street Ready-Made” makes a significant contribution to the history of cities, suburbs, and social planning in mid-century America. Designed for kids and adults to use together, The Flavor of Wisconsin for Kids draws upon the same source material that makes The Flavor of Wisconsin by Harva Hachten and Terese Allen a fascinating and authoritative document of the history and traditions of food in our state, and presents it in a colorful, kid-friendly format that’s both instructional and fun. Mindful of the importance of teaching kids about where the foods they eat come from, each chapter examines a different food source—forests; waters; vegetable, meat, and dairy farms; gardens; and communities. The authors explore our state’s foodways, from their origins to how they have changed over the years, and then offer a selection of related recipes. The recipes are written for modern kitchens but use many traditional ingredients and techniques. Level of difficulty is clearly noted, as well as whether a recipe requires a heat source to prepare. Inside the pages of If Trees Could Talk, Allison gives readers aged 7 to 12 fascinating stories that introduce them to noteworthy trees, both past and present, across Wisconsin. 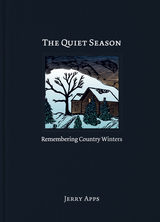 From Kenosha's buried forest on the shores of Lake Michigan to the Wyalusing maple that saw the last of the passenger pigeons; from Aldo Leopold's "good oak" to the disappeared elms of State Street in Madison, these stories open up a fascinating ecological and social history of Wisconsin to young readers. Other stories showcase the state's history: readers will encounter Chief Black Hawk hiding in a hickory, Civil War soldiers enlisting for battle under "sign-up" trees, and trees used to hang criminals without a trial. They will also learn of large and unusual trees like the Columbus Cottonwood, which was over 26 feet around or, in the words of the author, so large that "it would take you and eight of your friends with your arms outstretched to reach all the way around it!" Told in a compelling narrative style and supplemented with historic photographs and illustrations, these stories instill a sense of place and understanding of the rich heritage of our trees and forests. The book also carries an environmental message encouraging children to appreciate and manage natural resources wisely and respectfully. The highly accessible format includes a map of historic trees locations, a glossary of tree terms, a tree identification chart, and a list of suggested books and websites for further reading. In The War of 1812 in Wisconsin, author Mary Elise Antoine brings a little-known corner of Wisconsin’s history to life. Prairie du Chien, located just above mouth of the Wisconsin River, was the key to trade on the upper Mississippi. Whoever controlled the prairie commanded the immense territory inhabited by thousands of American Indians—and the fur they traded. When war broke out between the United States and Great Britain in 1812, British and Americans fought to maintain the ever-shifting alliance of the tribes. 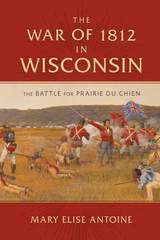 This is the story of the battle for the control of Prairie du Chien and the western country, which began many years before the three-day siege in July of 1814 for which the Battle of Prairie du Chien is named. It is also the tale of the people, Euro-American and Native, who lived in pre-territorial Wisconsin and how the contest for control of the region affected their lives and livelihoods. The outcome of the War of 1812 would determine what "manifest destiny" would mean to all who called these lands home. Albert Coryer, the grandson of a fur trade voyageur-turned-farmer, had a gift for storytelling. Born in 1877, he grew up in Prairie du Chien hearing tales of days gone by from his parents, grandparents, and neighbors who lived in the Frenchtown area. Throughout his life, Albert soaked up the local oral traditions, including narratives about early residents, local landmarks, interesting and funny events, ethnic customs, myths, and folklore. Late in life, this lively man who had worked as a farm laborer and janitor drew a detailed illustrated map of the Prairie du Chien area and began to write his stories out longhand, in addition to sharing them in an interview with a local historian and folklore scholar. 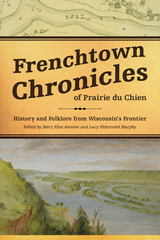 The map, stories, and interview transcript provide a colorful account of Prairie du Chien in the late nineteenth century, when it was undergoing significant demographic, social, and economic change. With sharp historical context provided by editors Lucy Eldersveld Murphy and Mary Elise Antoine, Coryer’s tales offer an unparalleled window into the ethnic community comprised of the old fur trade families, Native Americans, French Canadian farmers, and their descendants. Have you ever wondered what it was like to attend a one-room school, to be in the same classroom as your older brother or younger sister, or to have your teacher live with your family for part of the school year? 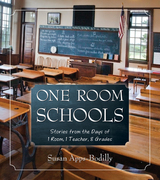 In One Room Schools, Susan Apps-Bodilly chronicles life in Wisconsin’s early country schools, detailing the experiences of the students, the role of the teacher, and examples of the curriculum, including the importance of Wisconsin School of the Air radio programs. She describes the duties children had at school besides their schoolwork, from cleaning the erasers and sweeping cobwebs out of the outhouse to carrying in wood for the stove. She also tells what led to the closing of the one room schools, which were more than just centers of learning: they also served as the gathering place for the community. Susan Apps-Bodilly drew from the research compiled by her father Jerry Apps for his book, One-Room Country Schools: History and Recollections. Apps-Bodilly has geared her book toward young readers who will learn what students and their teacher did on cold mornings before the wood stove warmed them up. They also will find out how to play recess games like Fox and Geese and Anti-I-Over and will learn the locations of 10 former one room schools that can be toured. Apps-Bodilly also encourages readers to ask themselves what lessons can be learned from these early schools that have application for today’s schools? One Room Schools will transport young readers back in time and make their grandparents and others of that generation nostalgic—perhaps even prompting them to share memories of their school days. 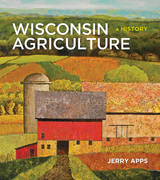 In this new edition of his classic book, award-winning author Jerry Apps shares a unique perspective on the great barns of rural Wisconsin. Digging deep as both an enthusiast and a farmer, Apps reaps a story of change: from the earliest pioneer structures to the low steel buildings of modern dairy farms, barns have adapted to meet the needs of each generation. They’ve housed wheat, tobacco, potatoes, and dairy cows, and they display the optimism, ingenuity, hard work, and practicality of the people who tend land and livestock. Featuring more than 100 stunning full-color photographs by Steve Apps, plus dozens of historic images, Barns of Wisconsin illuminates a vanishing way of life. The book explores myriad barn designs—from rectangular to round, from gable roof to gambrel, from fieldstone to wood—always with an eye to the history and craftsmanship of the Norwegians, Germans, Swiss, Finns, and others who built and used them. Barns of Wisconsin captures both the iconic and the unique, including historic and noteworthy barns, and discusses the disappearance of barns from our landscape and preservation efforts to save these important symbols of American agriculture. Have you ever wondered why Swiss cheese has holes? You'll find out in this story about a Swiss cheese maker named Casper Jaggi. Casper Jaggi was only six years old when his father taught him how to make cheese in the Swiss Alps. In 1913, Jaggi left Switzerland in search of new opportunities in the United States. Like many other Swiss, he settled in Green County, Wisconsin, where the rolling hills dotted with grazing cows reminded him of home. And soon, he'd be turning cow's milk into cheese, just as he did in Switzerland. The book opens the doors to Jaggi's Brodhead Swiss Cheese Factory - largest factory of its kind in Wisconsin in the 1950s. Archival photos help illustrate, step-by-step, the process Jaggi and his workers followed to transform 2,000 pounds of milk in a copper kettle into a 200-pound wheel of Swiss cheese. Between 1933 and 1942, the Civilian Conservation Corps, a popular New Deal relief program, was at work across America. During the Great Depression, young men lived in rustic CCC camps planting trees, cutting trails, and reversing the effects of soil erosion. 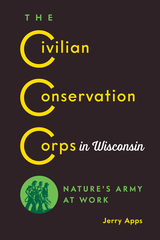 In his latest book, acclaimed environmental writer Jerry Apps presents the first comprehensive history of the CCC in Wisconsin. Apps guides readers around the state, from the Northwoods to the Driftless Area, creating a map of where and how more than 125 CCC camps left indelible marks on the landscape. Captured in rich detail as well are the voices of the CCC boys who by preserving Wisconsin’s natural beauty not only discovered purpose in their labor, but founded an enduring legacy of environmental stewardship. Jerry Apps details the virtues and hardships of rural living. 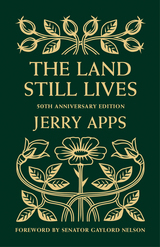 In this paperback edition of a beloved Jerry Apps classic, the rural historian captures the heart and soul of life in rural America. Inspired by his mother’s farm account books—in which she meticulously recorded every farm purchase—Jerry chronicles life on a small farm during and after World War II. 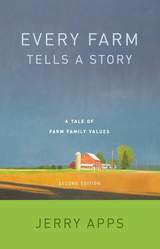 Featuring a new introduction exclusive to this 2nd edition, Every Farm Tells a Story reminds us that, while our family farms are shrinking in number, the values learned there remain deeply woven in our cultural heritage. Polio was epidemic in the United States starting in 1916. By the 1930s, quarantines and school closings were becoming common, as isolation was one of the only ways to fight the disease. The Sauk vaccine was not available until 1955; in that year, Wisconsin’s Fox River valley had more polio cases per capita than anywhere in the United States. 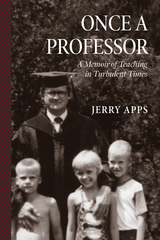 In his most personal book, Jerry Apps, who contracted polio at age twelve, reveals how the disease affected him physically and emotionally, profoundly influencing his education, military service, and family life and setting him on the path to becoming a professional writer. A hardworking farm kid who loved playing softball, young Jerry Apps would have to make many adjustments and meet many challenges after that winter night he was stricken with a debilitating, sometimes fatal illness. In Limping through Life he explores the ways his world changed after polio and pays tribute to those family members, teachers, and friends who helped him along the way. 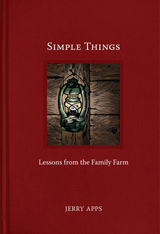 Jerry App’s farm stories open the barn door to understanding life in the country. Growing up on the family farm, Jerry Apps learned from a young age that water was precious. The farm had no running water, a windmill pumped drinking water for the small herd of cattle, and Jerry and his brothers hauled bucket after bucket of water for the family’s use. A weekly bath was considered sufficient. And when it rained, it was cause for celebration. Indeed, if ever the Apps boys complained about a rainy day spoiling their plans, their father admonished, "Never curse the rain," for the family’s very livelihood depended upon it. 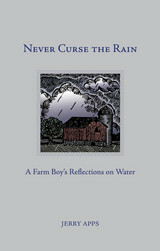 In Never Curse the Rain, Jerry shares his memories of water, from its importance to his family’s crops and cattle to its many recreational uses—fishing trips, canoe journeys, and the simple pleasures of an afternoon spent dreaming in the haymow as rain patters on the barn roof. Water is still a touchstone in Jerry’s life, and he explores the ways he’s found it helpful in soothing a troubled mind or releasing creativity. He also discusses his concerns about the future of water and ensuring we always have enough. For, as Jerry writes, "Water is one of the most precious things on this planet, necessary for all life, and we must do everything we can to protect it." 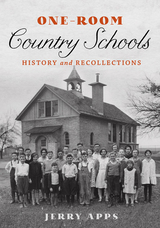 A popular collection of memories and recollections from people who learned at and taught in one-room schools in Wisconsin, including former pupil Jerry Apps, the book’s author. Jerry Apps recalls winters growing up on a farm in central Wisconsin during the latter years of the Depression and through World War II. Before electricity came to this part of Waushara County, farmers milked cows by hand with the light of a kerosene lantern, woodstoves heated the drafty farm homes, and “making wood” was a major part of every winter’s work. The children in Jerry’s rural community walked to a country school that was heated with a woodstove and had no indoor plumbing. Wisconsin winters then were a time of reflection, of planning for next year, and of families drawing together. Jerry describes how winter influenced farm families and suggests that those of us who grow up with harsh northern winters are profoundly affected in ways we often are not aware. This new addition to the Badger Biography series for young readers features the story of the young Ringling brothers of circus fame. The book tells the inspiring story of the seven sons of German and French immigrants who were guided by their dreams to escape poverty through hard work and ambition. These entrepreneurial brothers moved with their parents to Baraboo, Wisconsin where their fantastic circus adventure began. With no circus experience, the brothers tackled one of the riskiest businesses of the time. Each brother contributed his unique talents to make their enterprise successful. The Ringling Brothers were admired for their technological innovations, strategy and devotion to education. 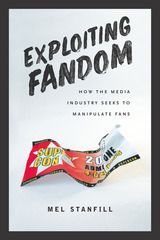 They were also esteemed for their genuine appreciation of their audience. In these times of technological innovation and fast-paced electronic communication, we often take nature for granted—or even consider it a hindrance to our human endeavors. 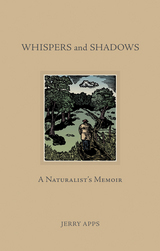 In Whispers and Shadows: A Naturalist’s Memoir, Jerry Apps explores such topics as the human need for wilderness, rediscovering a sense of wonder, and his father’s advice to “listen for the whispers” and “look in the shadows” to learn nature’s deepest lessons. When Jerry Apps was growing up on a Wisconsin farm in the 1930s and 1940s, times were tough. Yet most folks living on farms had plenty to eat. Preparing food from scratch was just the way things were done, and people knew what was in their food and where it came from. Delicious meals were at the center of every family and social affair, whether it be a threshing-day dinner with all the neighbors, the end-of-school-year picnic, or just a hearty supper after chores were done. As Jerry writes, "For me food will always be associated with times of good eating, storytelling, laughter, and good-hearted fun." Inspired by the dishes made by his mother, Eleanor, and featuring recipes found in her well-worn recipe box, Jerry and his daughter, Susan, take us on a culinary tour of life on the farm during the Depression and World War II. 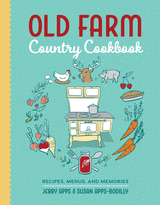 Seasoned with personal stories, menus, and family photos, Old Farm Country Cookbook recalls a time when electricity had not yet found its way to the farm, when making sauerkraut was a family endeavor, and when homemade ice cream tasted better than anything you could buy at the store. Step into the garden with writer and rural historian Jerry Apps. In this treasure trove of tips, recollections, and recipes, Jerry combines his hard-earned advice for garden success with a discussion of how tending a garden leads to a deeper understanding of nature and the land. 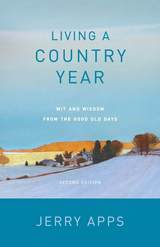 From planning and planting to fending off critters and weeds, he walks us through the gardening year, imbuing his story with humor and passion and once again reminding us that working even a small piece of land provides many rewards. Gardening has always been a group endeavor for the Apps family. In Garden Wisdom, readers will learn gardening basics along with Jerry’s grandchildren as they become a new generation of gardeners. They’ll devour Ruth’s recipes for preparing and preserving fresh garden veggies—from refrigerator pickles to rutabaga pudding. And they’ll savor son Steve’s beautiful color photographs, capturing the bounty of the family garden throughout the growing season. 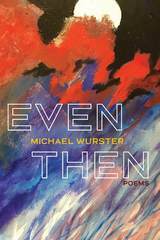 One of the Midwest's best-loved authors tells the story of his land, from the last great glacier that dug out its valleys and formed its hills, to his own family's 40 year relationship with the beloved farm they call Roshara. In this quiet but epic tale, Apps describes the Native Americans who lived on the land for hundreds of years, tapping the maple trees and fishing the streams and lakes, as well as the first white settlers who tilled its sandy acres, plowing the native grasses that grew taller than their teams of oxen. For all their work, the farm proved tough to tame. Hardscrabble farming methods and hard luck often brought failure. "From land that provided only a marginal living for its early owners, this place we call Roshara has provided much for my family and me," writes Apps. He and his wife and their children have cared for the farm not so much to make a living as to enhance their lives. Apps chronicles the family's efforts — always earnest, if sometimes ill-advised — to restore an old granary into living space, develop a productive vegetable garden, manage the woodlots, reestablish a prairie, and enjoy nature's sounds and silences. Breathtakingly beautiful color photographs by Apps's son, Steve (a professional photographer), highlight the ever-changing beauty of the land in every season and hint at the spiritual gifts that are the true bounty this family reaps from Roshara. Central to Apps' work is his belief that the land is something to cherish and revere. Like Aldo Leopold before him, Apps sounds an inspirational call to readers to preserve wild and rural places, leaving them in better condition than we found them for future generations. In Roshara Journal, father-and-son team Jerry and Steve Apps share the monthly happenings at their family’s farm in central Wisconsin. 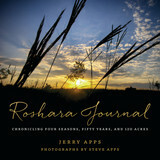 Featuring Steve’s stunning photos and fifty years of Jerry’s journal entries, Roshara Journal captures the changes—both from month to month and over the decades—on the landscape and farmstead. The Apps family has owned Roshara since 1966. There they nurture a prairie restoration and pine plantation, maintain a large garden that feeds three generations, observe wildlife species by the dozens, and support a population of endangered butterflies. In documenting life on this piece of land, Jerry and Steve remind us how, despite the pace and challenges of modern life, the seasons continue to influence our lives in ways large and small. Jerry explains that his journal entries become much more than mere observations: "It seems that when I write about something—a bur oak tree, for example—that old tree becomes a part of me. . . . Writing takes me to a place that goes beyond observation and understanding, a place filled with feeling and meaning." In the tradition of Bernd Heinrich in Maine, Barry Lopez in the Canadian Arctic, and Aldo Leopold just an hour down the road in Baraboo, Jerry and Steve Apps combine observation, experience, and reflection to tell a profound story about one place in the world. Ringlingville USA chronicles the brothers' journey from immigrant poverty to enduring glory as the kings of the circus world. 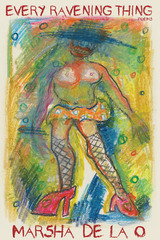 The Ringlings and their circus were last studied in depth over four decades ago. Now, for the first time, the brothers' detailed financial records and personal correspondence are available to researchers. Jerry Apps weaves together that information with newspaper accounts, oral histories, colorful anecdotes, and stunning circus ephemera and photos, many never before been published, to illuminate the importance of the Ringlings' accomplishments. 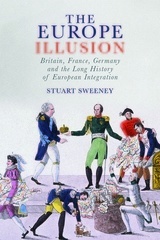 He describes how the Ringling Brothers confronted the challenges of taxation, war, economic pressure, changing technology, and personal sorrows to find their place in history. The brothers emerge as complex characters whose ambition, imagination, and pure hucksterism fueled the phenomenon that was the Ringling Brothers' Circus. Twenty-five Latina agents of change share their inspirational stories. Celebrated Latina civil rights activist Dolores Huerta once said, “Every moment is an organizing opportunity, every person a potential activist, every minute a chance to change the world.” These are the stories of some of the Latina activists from Wisconsin who have lived Huerta’s words. 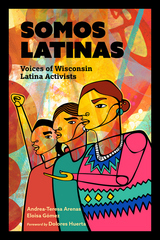 Somos Latinas shares the powerful narratives of 25 activists—from outspoken demonstrators to collaborative community-builders to determined individuals working for change behind the scenes—providing proof of the long-standing legacy of Latina activism throughout Wisconsin.